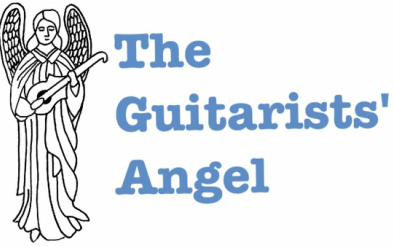 This site aims to pull together a range of resources for guitarists. It will grow from this small beginning. Some of the music I wanted to play involved big stretches. At first I assumed that these pieces were just too difficult for me, so I put them on one side to come back to later. Then I found that once I could play the notes I wasn't sure why they were there. Sometimes they sounded wrong, but in other places it just didn't seem worth the extra effort for the result. So I made some changes. Sometimes I found things I liked, but the arrangement was very bare and dull, and could easily be improved by putting in a few more notes. I couldn't find some of the music I wanted to play. So I decided to have a go at arranging for myself. Sometimes I have worked from a midi file of the full version of a piece. Other times that was too hard, and I have worked it out by ear. It seems sensible to share, so here I am publishing a website. Pieces will be added bit by bit, as I tidy them up. I have quite a few in progress at any one time. It is well known that some keys are easier to play on the guitar. Generally I only use keys that I find easy to read while I'm playing. For me that mainly excludes F major - I can't get used to not playing the second string when I see a note on the middle line of the treble clef. For some reason I don't have the same problem with other "black notes". Where accidentals are needed, I know there are rules and conventions covering whether to use sharps or flats. However I find that when I'm playing it is quicker to read G sharp rather than A flat. So that is what I tend to write. This is probably due to lack of practice in flat keys. It may be because I know that you go one fret down to flatten a note, so when its one fret flatter than an open string I have to think it out. I get annoyed with music that is "well spaced" when it means that you have to turn pages. I know it is good to have space to mark up your score, but in some editions there is more space than music. I have heard people say that if the music is only for study purposes, rather than a performing edition, page turns are less important. They still interrupt the flow, so I don't like them. So my pieces are if possible crammed onto one side of A4 paper, and I hope to get the whole thing on a maximum of 2 sides. I don't do altered tunings. I can see the point, but I get confused. I'm concentrating on learning the standard tuning for now. I learnt to read music when I was a child, & I prefer to read from notation when playing the guitar. However TAB is very useful, particularly when playing chords up the neck in pieces I don't play very often. It is annoying to have forgotten how to finger a chord that you could play a couple of weeks ago, & the TAB is a useful reminder. In some pieces, I prefer to be able to avoid a page turn rather than have TAB and notation, so I use chord charts to remind me where I know I'm going to have trouble. In some places there is a whole phrase that I can't play at a decent speed without the tab, so I print both together. If you prefer TAB and are interested in a piece, please email me & I will sort it out as soon as I can. Hopefully in a couple of days. I aim to have TAB and notation available on this site, but I get sidetracked. I keep my music in transparent plastic "pockets" in a ring binder with 4 rings. As long as you pick a file that stays flat there is no problem about the book closing, and the 4 rings makes each page less likely to slip downwards. If I have a book where I'm only interested in a few items (or one that is difficult to keep open) I cut out the relevant pages and add them to a file. That way I don't have to remember which book a piece is in & waste time shuffling through. The best way to cut a page out of a book is using a craft knife and a metal ruler. Remember to keep your fingers out of the way, & slip a cutting mat underneath if you only want to remove one page.